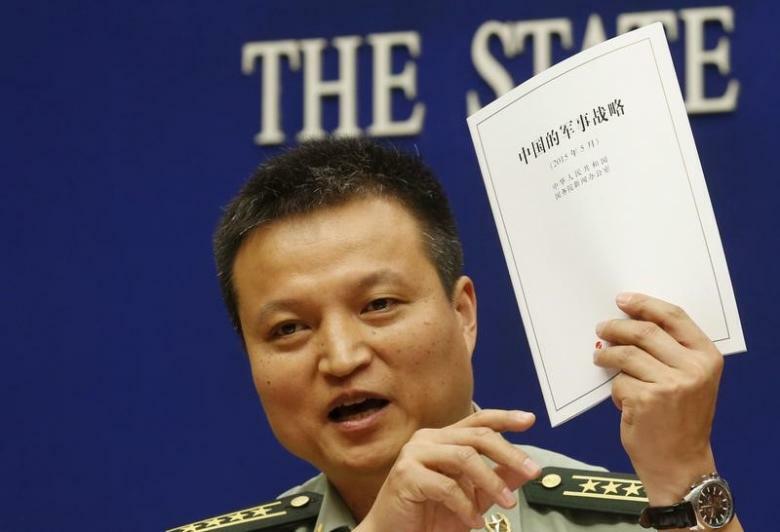 Spokesperson of Chinese Ministry of National Defense Senior Colonel Yang Yujun holds a copy of the annual white paper on China’s military strategy during a news conference in Beijing, China, May 26, 2015. China will hold its first military drills with Nepal next year, China’s Defence Ministry said on Thursday, in a move that could unnerve neighbouring India. China is vying to increase its influence in landlocked Nepal, which serves as a natural buffer between China and India, challenging India’s long-held position as the dominant outside power. Speaking at a monthly news conference, Chinese Defence Ministry spokesman Yang Yujun said that China and Nepal’s militaries had in recent years had many forms of exchanges. China and Nepal had been in “initial communication” about joint army exercises, and details would be announced in due to me, Yang said without giving details.